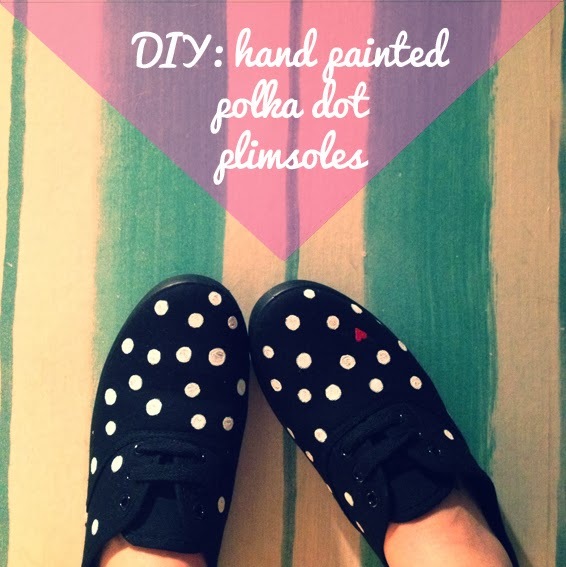 DIY: Hand Painted Polka Dot Plimsoles! Cute shoes! 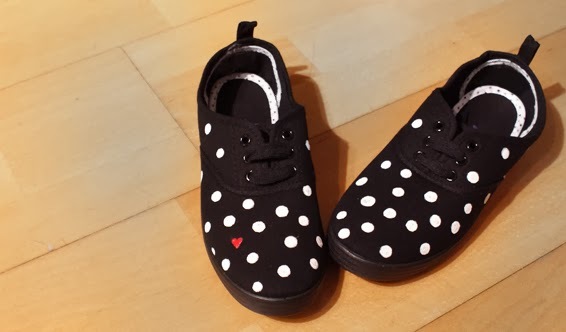 That’s exactly what I was going for when I started making these little polka dot plimsoles 🙂 I’ve been looking for some cute dotty shoes for a while now, but the only ones I could find had rather small dots that were pretty regimented. I like my polka dots like confetti! 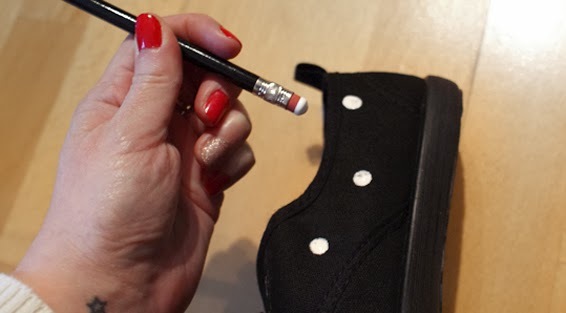 Roll on the hand painted plimsoles DIY! Obviously, the first thing you’re going to need for this project is some plimsoles. Don’t these make you think of gym shoes at school? That’s why they need customised! 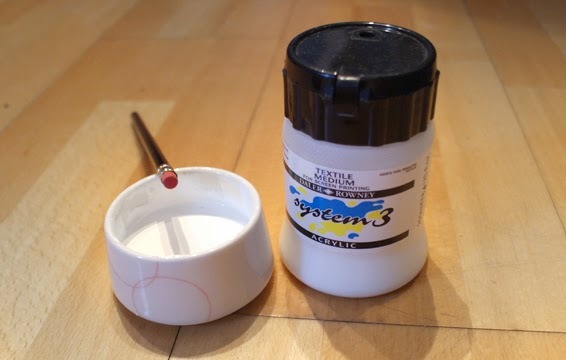 All you need to do is dip the end of the eraser into your fresh batch of fabric paint and start stamping. It’s super fast and fuss free! 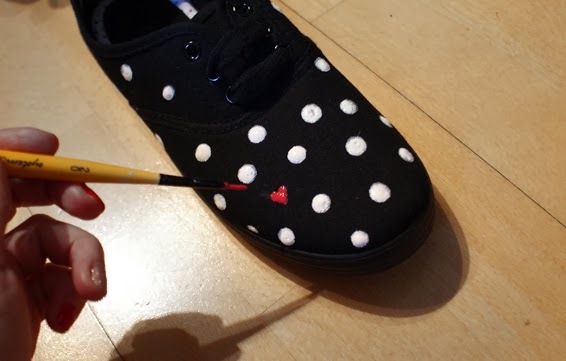 Once you’ve polka-dotted all over the place, it’s nice to add a little accent to finish it off. I’ve mixed up a spot of red paint and have used a fine brush to add in a cute little heart. I’m putting one on the front here and one on the heel of the other shoe. Sweet, huh! The easiest way to paint a heart is to start with a V and fill it in. These bad boys need to dry thoroughly before we go any further. Leave them over night if you can — or at least a few hours till the paint has all sunk into the canvas. When they’re properly dry, you’ll need to set the fabric paint. Check the instructions on your textile medium on how to do this. For mine I need to set the paint by ironing it. 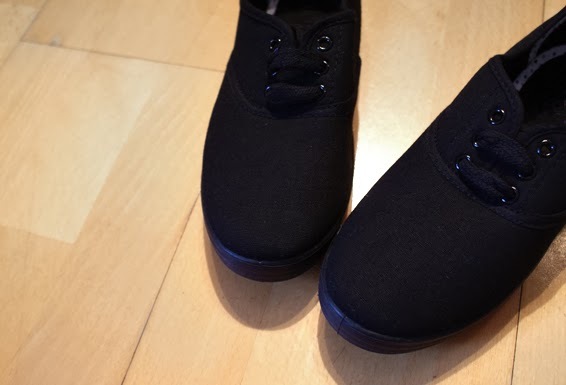 That’s right, I ironed my shoes! 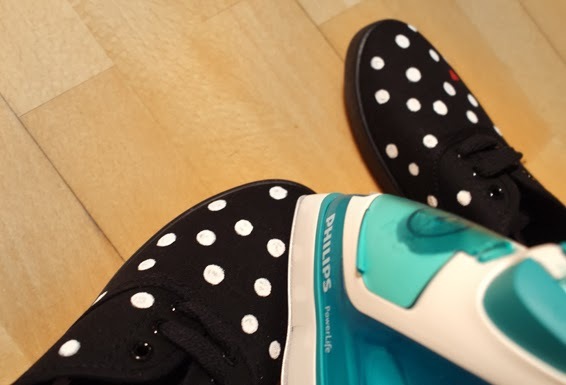 (ticking off of bucket list) I’d advise placing a tea towel over the top of the shoes before ironing them, just to make sure it runs over smoothly. It’ll only need a few seconds to heat them and I did this by holding the shoes from the inside. Just make sure you don’t iron the soles or they might melt! Wow, super cute! Definitely going to try this! !